Police officers have been riding motorcycles since about 1908. 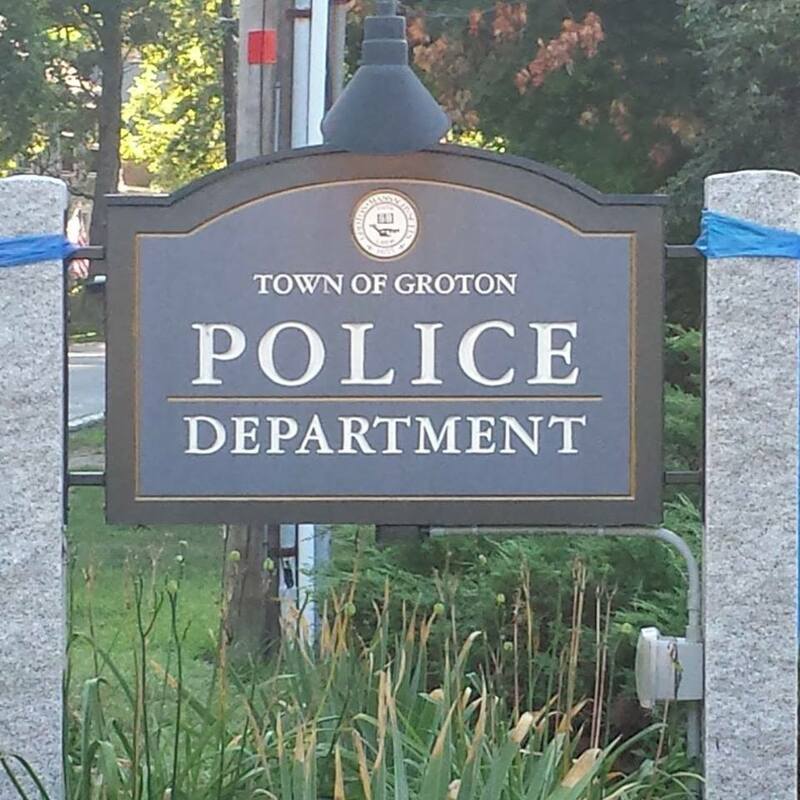 The Groton P.D. added a police motorcycle to their fleet in the spring of 2008. The primary function of the police motorcycle is traffic enforcement, such as radar, traffic light or stop sign violations, and parking enforcement, but they will also respond to calls for service if needed. They are responsible for funeral escorts, parades, fireworks detail, and even some road race events in town. The Motorcycle Unit utilizes a Harley Davidson motorcycle which is equipped with emergency lights, a siren, traffic radar, and other specialized equipment. 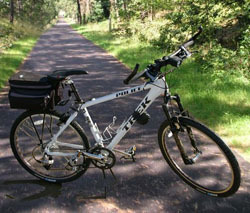 The motorcycle's relatively small size allows it to easily go places that a car cannot, such as the Rail Trail. It also helps it to get to accident scenes more quickly when incidents like traffic accidents slow down access by four-wheeled vehicles. Motorcycles also consume less fuel than police cars, which saves costs for the police departments that use them. Each Officer wishing to be assigned to the Motorcycle Unit must have a valid motorcycle license and pass an intense special training course in police motorcycle operations. This training consists of obstacle courses, motorcycle operating dynamics, riding in rough terrain, and emergency operation. These training evolutions are designed to provide the rider with the skills and confidence to operate the motorcycle in various environments and under adverse conditions. 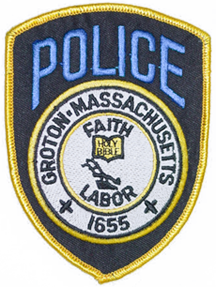 The Groton Police Department owns a fleet of mountain bikes. We use the bike patrol unit as part of our ongoing community policing program. Bicycles allow us to be more visible and more accessible to members of our community. Patrolling on bicycles also allow us to prevent crime by giving us access to certain areas we would not have access to with regular cruiser patrol. We use our bike patrol unit as part of our regular patrol and during special events hosted by the town. Each member of the unit has attended a 3-day 24-hour mountain bike training program called COBWEB (Cops on Bikes With Education for Bicyclists.) This program is specially designed to train police officers to safely and effectively patrol. The program trains officers in bicycle safety, bicycle maintenance and injury prevention, along with tactical patrol procedures and crime prevention. Upon completion of the course each officer must pass a written examination and a practical obstacle course. 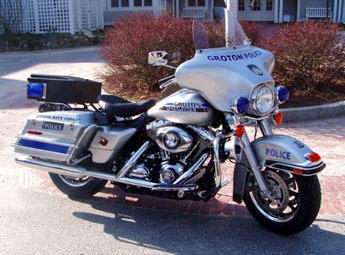 The Groton Police Crash Reconstruction Unit uses sophisticated total station equipment to map and draw crash scenes. 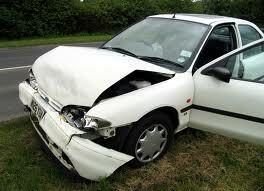 Interpretation of scene physical evidence to determine vehicle movement and spee. The Groton Police Departments is proud to announce one of its newest member, K-9 Lola. 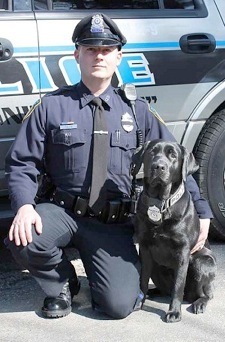 Lola is an 8 year old purebred Black Lab and her handler is Officer Nicholas Beltz. Lola was obtained from Guiding Eyes for the Blind out of New York and purchased with several anonymous donations. Lola was too energetic to be a seeing eye dog but has all of the right attributes to make an excellent police dog. Ofc. Beltz and Lola completed two months of training at the Plymouth Co. Sheriff’s Department K-9 academy and are certified in tracking human odor and evidence recovery. The certification allows Lola to track for both missing and wanted people as well as recover evidence from a crime. In November, 2018 Lola passed away losing her battle with cancer. At this time, we do not have an active K9, but are looking for another dog that has the personality to fill Lola's big paws. The lack of mental health crisis services across the U.S. has resulted in law enforcement officers serving as first responders to most crises. A Crisis Intervention Team (CIT) program is an innovative, community-based approach to improve the outcomes of these encounters. 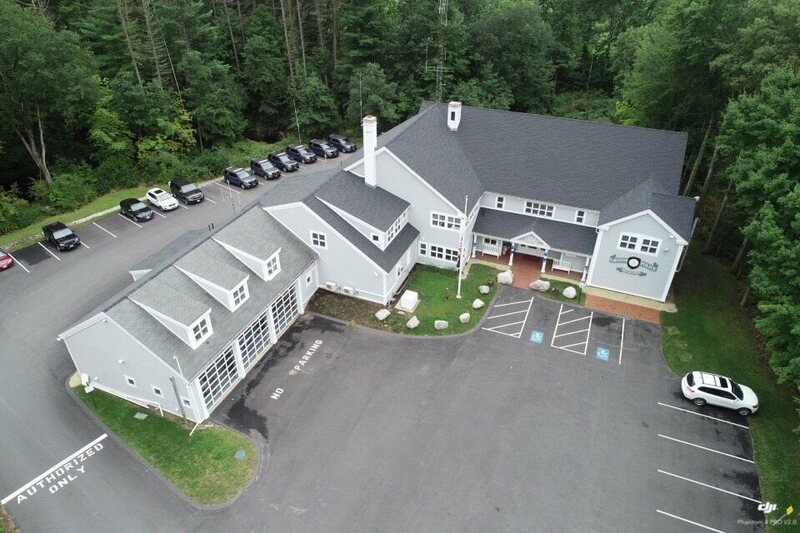 Officers on CIT have advanced training in assisting citizens in crisis, and can help connect them to mental health and/or drug treatment programs in Central Massachusetts, as well as referring them to the Northwest Middlesex Community Outreach Initiative Network (COIN). Programs like CIT reduce arrests of people with mental illness while simultaneously increasing the likelihood that individuals will receive mental health services.